(N7/ROK) (Las Vegas) 1999 - 2002. Photos. Framable Color Prints and Posters. Digital Sharp Images. Aviation Gifts. Slide Shows. 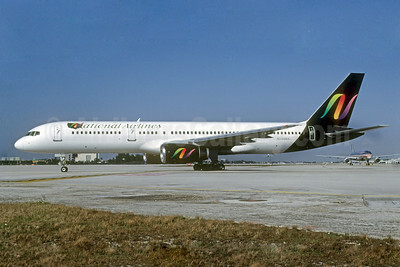 National Airlines (4th) Boeing 757-28A N523NA (msn 30043) MIA (Bruce Drum). Image: 102611. 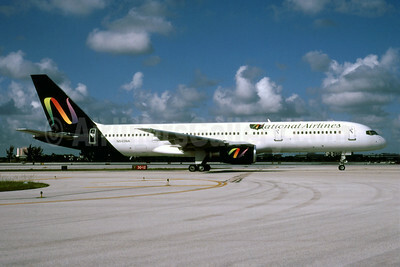 National Airlines (4th) Boeing 757-236 N545NA (msn 29944) MIA (Bruce Drum). Image: 102496. 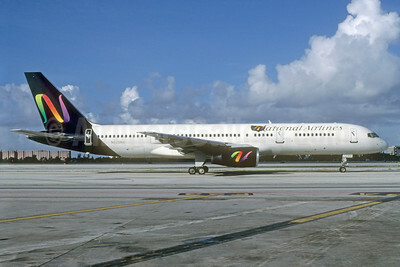 National Airlines (4th) Boeing 757-236 N546NA (msn 29945) MIA (Bruce Drum). Image: 102612.